Congratulations on your purchase of your Febreze air purifier. Following are steps to get you started breathing fresher, cleaner air. To set up this air purifier, select a firm, flat location that is approximately 6" from any walls or furniture to optimize airflow. 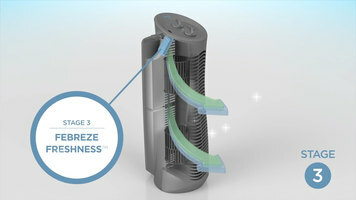 Remember to turn off and unplug the Febreze air purifier before replacing the filters. Remove the rear grill by pressing the top latch downward to release the rear grill. Pull it toward you to remove it. Gently push along the edge of the filter frame and pull forward to remove the wrapped filters. Ensure the protective wrapping is removed before inserting the filters. Replace the filters in the air purifier with the black side facing out. And snap the rear grill back into place. To install the air purifier's scent cartridge, open the door on the scent cartridge compartment on the control panel. Gently pull the foil layer on the cartridge by pulling on the tab. A thin, clear film with perforations will remain on the cartridge. Insert the scent cartridge into the scent compartment. It will only fit in one way. Close the close compartment door, and use the scent control dial to adjust the scent intensity for personal preference. Once you've selected your desired scent intensity level, plug the air purifier into a working outlet. To turn the unit on, simply turn the cleaning level control dial to your desired cleaning level. Note that cleaning levels begin on high, move to medium, and then low. This Febreze air purifier has electronic filter and scent check reminder lights on the control panel. Based on hours of use, the red LED will illuminate when it is time to replace the filters or scent cartridge. The red light will remain on until the filter or scent button is reset. These lights are intended as guidelines only, and each replacement period will depend on environment and usage pattern. Each scent cartridge will last up to 30 days. To replace the scent cartridge, simply open the scent cartridge compartment door on the control panel and remove the old scent cartridge. Dispose of the old scent cartridge properly. Install the new air purifier scent cartridge, making sure to remove the foil layer before installing it. To reset the scent light, simply press and hold the scent button while the unit is powered on for 2 seconds, or until the light turns off. After 4 months of use, you will need to replace the filters in your Febreze air purifier. Remove the rear grill using the latch. Press down, and pull the grill toward you. Remove the filters using the ribbon tabs. Replace the rear grill by snapping it back into place. To reset the filter check light, simply press and hold the filter reset button while the unit is powered on for 2 seconds, or until the light turns off. 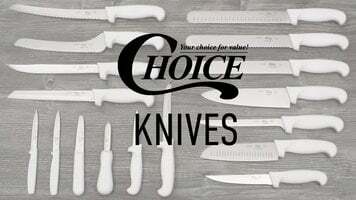 From oyster knives to boning knives, Choice offers the perfect knife for every kitchen task, ensuring your kitchen is equipped with all the proper commercial cutlery it needs. Made of high carbon 420 stainless steel, these knives offer long-lasting durability at a price that is sure to meet your budget! 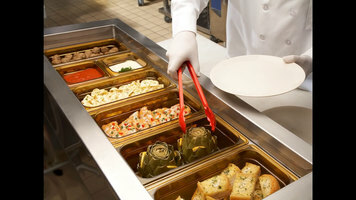 Use Cambro high heat food pans to save time and resources in your kitchen. These food pans can be used in every area of your kitchen for ease of use.